This is a unique vintage find. 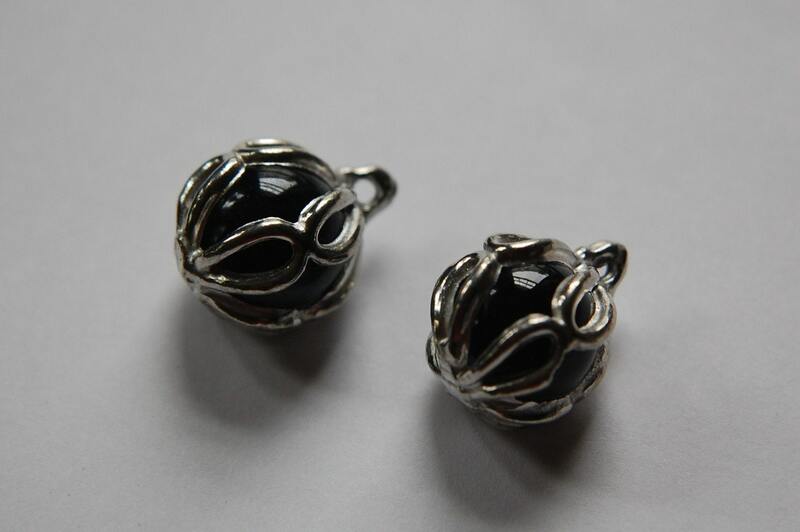 It is a black glass ball with a silver tone metal cage around it. This was made in Japan. It has a heavy weight, a solid piece. This measure 14mm long x 9mm wide. You will receive 2 pieces.